Polyethylene is a synthetic ingredient that is used for a variety of purposes in cosmetics and personal care products, including as a binder, thickener, film-forming agent, emulsion stabilizer, and abrasive. Polyethylene was first synthesized by German chemist Hans von Pechmann, who prepared it by accident in 1898 while investigating a compound called diazomethane. Chemically, polyethylene is a polymer made up of repeating ethylene units. The molecular weight of polyethylene can vary from 198 to 150,000, depending on the length of the chain. Polyethylene is the most common plastic in the world. As of 2017, over 100 million tons of polyethylene resins are produced annually, accounting for 34% of the total plastics market. In addition to its use in cosmetics and personal care products, polyethylene is widely used in packaging materials and in medical devices such as prosthetics. In cosmetics and personal care products, polyethylene functions as a binding agent, thickener, film-forming agent, emulsion stabilizer, and abrasive. It is used in a variety of products, including eyeliners, mascara, eye shadows, eyebrow pencils, lipstick, blush, face powders and foundations, as well as in skin cleansers and other skin care products. As a binding agent, polyethylene is used to unite or bond surfaces together and to hold together the ingredients of a compressed cake. 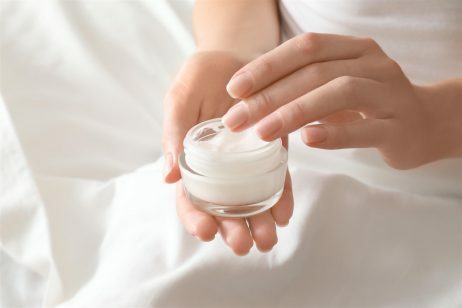 Polyethylene is also classified as a thickener based on its ability to increase the thickness of the lipid (oil) portion of a cosmetic formulation. Additionally, when two hydroxyl groups are added to polyethylene the ingredient polyethylene glycol (PEG) is created, which is a very common thickening agent. Another function of polyethylene in cosmetics and personal care products is as a film forming agent. Upon topical application, polyethylene forms a soft, invisible film on the surface of skin. This film helps to prevent water from evaporating from the skin, thereby keeping the skin hydrated. Ultimately, this leads to skin that looks and feels moisturized and smooth. The film formed by polyethylene not only protects the skin from moisture loss, but also prevents moisture penetration. This property is useful for the formulation of sun protection products. Lastly, polyethylene may be present in products like facial scrubs as rounded beads, often called microbeads, which serve as an abrasive. These small, solid plastic beads are used for exfoliating, smoothing, and polishing the skin. Polyethylene beads are often used instead of overly abrasive alternatives like walnut shells and ground fruit pits. Products that contain polyethylene beads as an abrasive will help to exfoliate the top layers of skin, removing dead skin cells, makeup, excess oil, dirt, and other impurities that may have accumulated during the day. Exfoliation helps to clear pores, prevent acne, and promote a brighter complexion. The safety of polyethylene has been assessed by the Cosmetic Ingredient Review (CIR) Expert Panel. 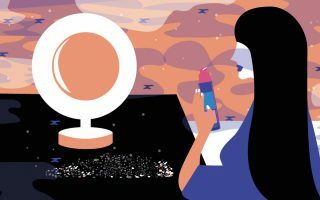 The Panel noted the large molecular size of polyethylene polymers used in cosmetics and personal care products, which led them to believe that there would not be significant dermal absorption of polyethylene. A lack of significant dermal absorption would limit systemic exposure to polyethylene. In regards to impurities, the Panel considered the processes by which low density polyethylene is made from ethylene. In the United States, ethylene if 99.9% pure. Therefore, the concentration of impurities in any final polymer would be so low as to not raise toxicity issues. Moreover, safety tests of cosmetic grade polyethylene have consistently failed to identify any toxicity. Overall, the Panel concluded that polyethylene was safe for use in cosmetics and personal care products. References: Wikipedia, “Polyethylene”, Cosmetics Info, “Polyethylene”, Paula’s Choice, “Polyethylene”, Truth In Aging, “Polyethylene”.